Ikenobo, the oldest and most prestigious school of Japanese ikebana, to visit Monaco and offer free ikebana demonstration of the traditional artform. Ikebana flower arrangement is one of the representative aspects of Japanese traditional culture and was established by the Ikenobo more than 555 years ago. Like a poem or painting made with flowers, Ikenobo’s ikebana expresses both the beauty of flowers and the beauty of longing in our own hearts. Ikenobo’s spirit has continued to spread around the world, with local chapters in major cities and the hosting of exhibitions both across Japan and abroad. Ikenobo hopes to draw the worlds people together through their art. As Honorary Consul of Iceland, Headmaster Designate Senko Ikenobo has continuously contributed to fostering international friendship, for example through a flower offering ceremony with wishes for world piece which was conducted in 2013 at the United Nations Headquarters in New York. To encourage cultural relations between Monaco and Japan, which celebrated its 10th Anniversary of Diplomatic Relations last year, the Headmaster Designate will visit Monaco and present the traditional cultural art of Japan ikebana floral arrangements through an ikebana demonstration. On Sunday June 10th, the Headmaster Designate will perform an ikebana demonstration at the Salon Bellevue in Café de Paris from 16:30 to 18:00. This special demonstration will be open and free to the Monaco public. 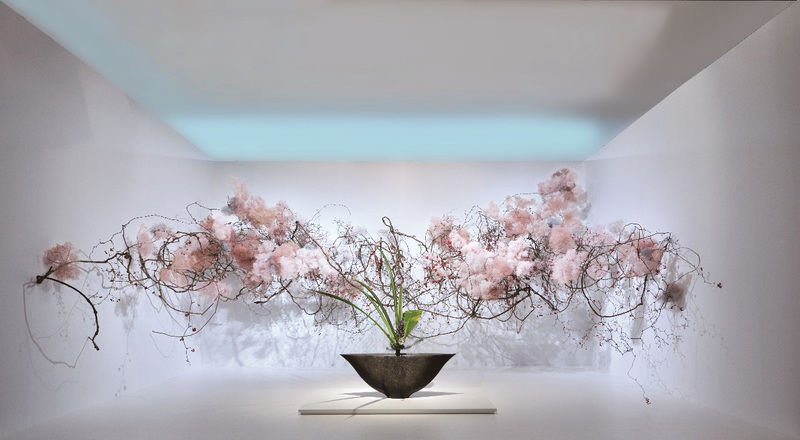 Ikebana arrangements by Mrs. Senko Ikenobo, as well as Professor Yukei Miura of Ikenobo Central Training Institute, will also be on display starting June 10th in the lobby and entrance of Hotel Hermitage Monte Carlo. 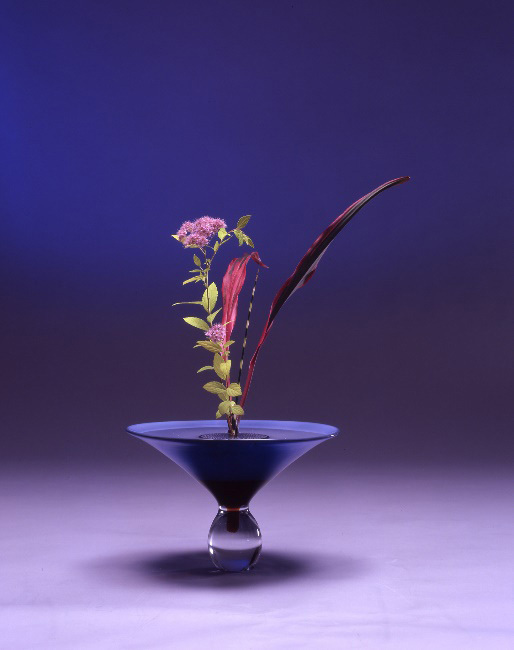 Changes over the centuries in customs and living environments are reflected in the evolution of Ikenobo’s ikebana styles. 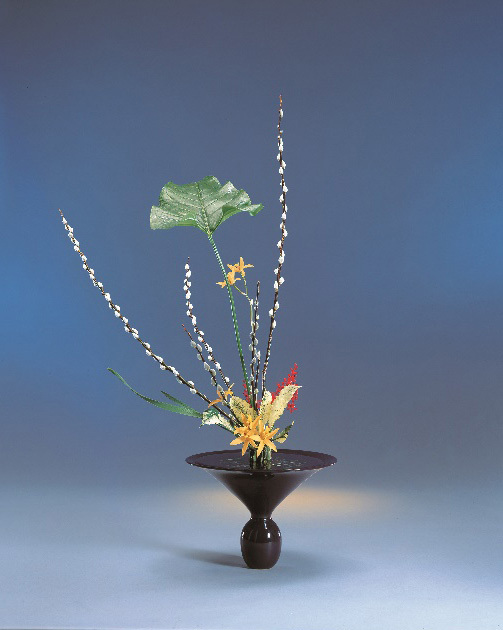 Each age has brought new challenges for ikebana to express the spirit of the time. Today’s styles include ” rikka”, ” shoka”, and modern “free style“. 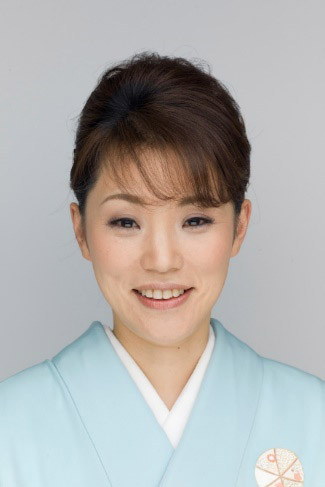 Senko Ikenobo is Headmaster Designate of Ikenobo, a family whose first generation is traced back to Ono no Imoko and whose philosophy of ikebana was established in the Muromoachi period (14th -16th century). She serves as Vice Head Priest of Shiunzan Chohoji (Rokkakudo) temple in Kyoto, Honorary Consul of Iceland and Guest Professor of Gakushuin Women’s College and Ritsumeikan University. 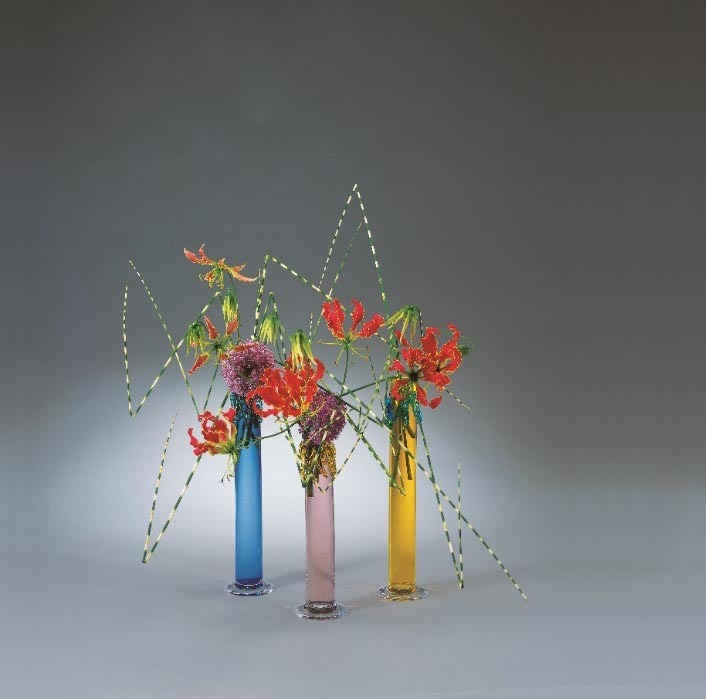 Senko Ikenobo’s varied activities focus on life as emphasized through Ikenobo ikebana. From 2012, in remembrance of those lost in the disasters, and to offer sincere prayers for happiness and world peace, Senko Ikenobo started a pilgrimage to 33 temples in West Japan and performed flower offering ceremonies. She completed the pilgrimage in May, 2016. In 2013, she visited Boston and New York, U.S.A. on the occasion of the Ikenobo Ikebana 550th Year, conducting an ikebana workshop at Harvard University and performed a floral offering ceremony at United Nations Headquarters. Professor Yukei Miura is from Aichi Prefecture of Japan located in the Central region. Professor Miura continued his studying of ikebana at Ikenobo Central Training Institute and began his teaching of Ikenobo ikebana from 1971. He has since completed Special Advanced Courses in Classical Rikka, Meiji Rikka, Modern Rikka and Free Style. 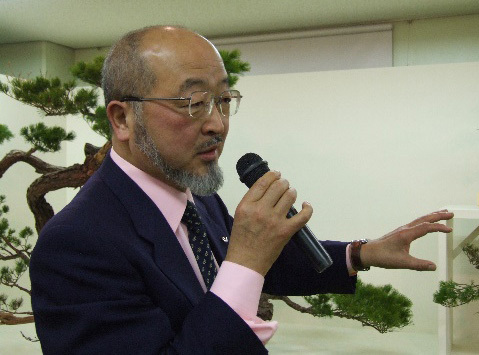 Professor Miura is now teaching at the Ikenobo Central Training Institute as a Special Professor in Kyoto. In 1987, Professor Miura served for 6 months as Ikenobo Special Visiting Professor for North America, giving workshops and demonstrations in cities throughout the United States and Canada. He also visited Thailand, Singapore, Philippines, Taiwan, China, Korea and Russia for workshops, demonstrations and exhibitions.